When it comes to home cleaning, there are few things worse than a smelly dishwasher. Here we explain our quick tricks to end the bad smell of the dishwasher at home. Dishwashers can acquire unpleasant smells simply from everyday usage. This cannot only smell bad but can impact the appliances ability to complete the cleaning function effectively. If you open your dishwasher and the first thing you smell is not the fresh scent of sparkling clean dishes, it’s time to give the dishwasher a clean of its’ own. The first step is to work out where the odor is coming from. Most common is the accumulation of food debris, often the result of not thoroughly rinsing dishes before starting a cycle. This is not the only cause, though; here are a few other common ones. Food debris buildup at the bottom of the dishwasher. Solution: rinse dishes before putting them in the dishwasher. Dirty dishwasher filter. Solution: Clean the filters regularly. Clogged drain. Solution: Unclog the drain and/or duct. Moisture and mold. Solution: Leave the door open once you have finished the cleaning cycle, this will allow the interior to dry out and help reduce the likelihood of mold buildup. Many supermarkets and general stores carry cleaning and refreshing products for dishwashers. These may even give off a fresh scent with each wash. There are simple options we can make at home. However, that work just as well. Add the peel of your favorite citrus fruits (such as oranges or lemons), to each dishwasher cycle. You can either put them in a mesh bag or leave them in one of the compartments for the cutlery. Remove after each wash.
Add half a cup of baking soda to the bottom of the dishwasher. This neutralizes odors and does not damage the dishwasher at all. Every two months, add a cup of vinegar to the bottom of the dishwasher for extra polish and clean. Finally, we remind you that it is important to regularly clean the dishwasher filters and inside that see a buildup of dirt and debris with regular usage. Good, regular maintenance will to keep your dishwasher in the best working order possible, and increase the usage life. We hope you have found this information interesting and useful. 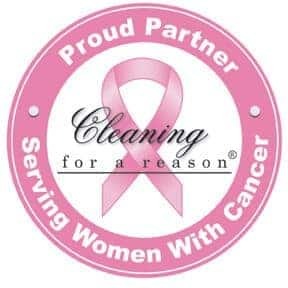 At Maid Cleaning Nashville we are experts in the cleaning business. Don’t have time to implement these ideas yourself? Maid Cleaning Nashville would be happy to help. Contact us today to learn more about how we can help with a complete array of cleaning solutions.